Nice and beautifully renovated finca, with an ethnic modern touch, surrounded by a tropical garden. 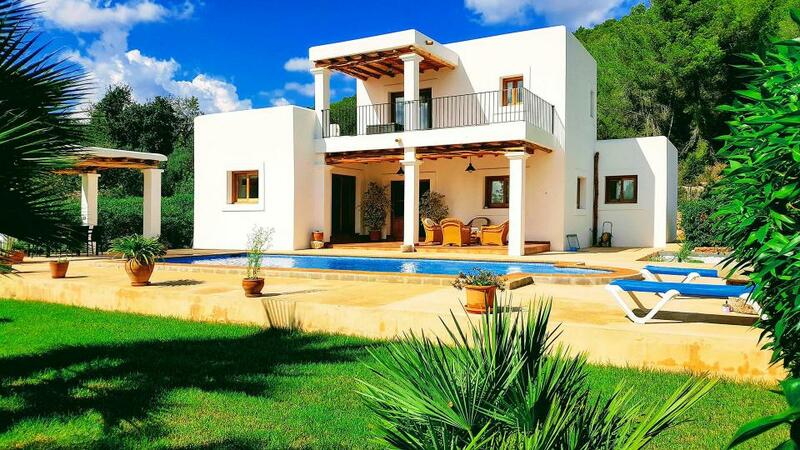 Located in the countryside, in a peaceful area, less than 10km from Santa Eulalia. Room, Ground level. This bedroom has 1 double bed. Bathroom outside the room. This bedroom includes also air conditioning. Suite, 1st floor. This bedroom has 1 double bed. Bathroom ensuite. This bedroom includes also air conditioning, private terrace. All the beaches of the East Coast are within a maximum radius of 15km. Cala Tarida where our local office is located is 30 minutes driving distance. Ibiza town is 15 minutes driving distance. - 2nd payment 50 Days to arrival day : 50 % of total amount of reservation is due to Villanovo.